How much do you use Behavioural Marketing in your marketing strategies? Selling customers on features, prices and transactions is yesterday’s strategy. 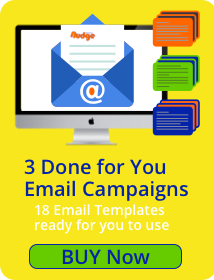 Barraging potential customers with emails or ads in an attempt to get noticed is also yesterday’s marketing. 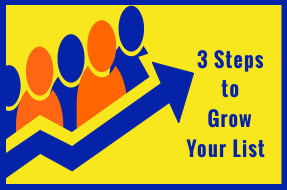 To win over customers and convert them to brand evangelists requires delivering exceptional customer experiences again and again to solidify a long-term relationship. By knowing behavioural marketing or as we call it Dynamic Behavioural Marketing – DBM. I shall explain the difference shortly. As you can imagine with the company name Nudge Marketing we are highly focused on the behavioural side of marketing. Behavioural sciences are a core competency of our team. We take a holistic approach to marketing believing that everything should be customer centric. Understanding human behaviour and human psychology, knowing the behaviour of your customers and all the actions they take is paramount. Behavioural Marketing is the practice of serving targeted ads or content based on a user’s past actions and behaviours. Behavioural Marketing is referring to the processes, systems and segmentations that are put in place to analyse customers behaviours and automate the required action. Behavioural Marketing happens after people take actions. 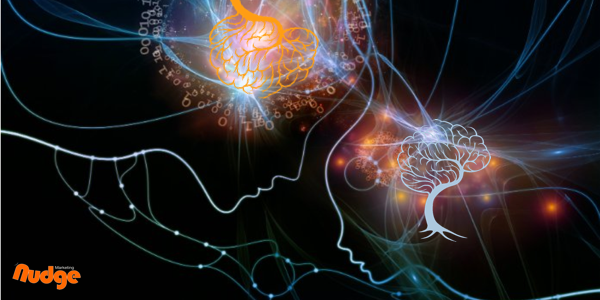 Behavioural Marketing is clearly differentiated from Dynamic Behavioural Marketing which includes behavioural dynamics, understanding human behaviour and human psychology helping us predict what is likely to happen before action is taken. Dynamic Behavioural Marketing is understanding the behavioural insights – as in nudging and understanding how people act when they are given different options. Then, having the systems and processes in place to analyse, automate and scale. In a nutshell DBM is understanding the individual and their behaviours, what makes them ‘tick’ then observing all their actions. It is the sweet spot where Marketing, Behavioural Marketing and Behavioural Dynamics meet. With the behavioural aspect you should be watching every action taken by your prospect, visitor to your website or person in your shop. At every action think, how can you based on the knowledge you have about them, give them new content that they will be interested in and in a context they will appreciate. Behavioural Marketing can be seen at every level. 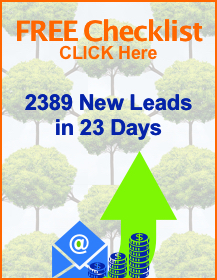 All marketers do email marketing and many do blast or broadcast emails. Say they get a 22% open rate with their broadcast email and then they send the exact same email out 24 hours later but this time with a new headline and another 8% open the new email. At the simplest form this is Behavioural Marketing. The second headline resonated with a different section of the market. Doing that one extra move increased the open rate by 8% and therefore eventually moved more people down the selling process. Now whilst I use this as an example I am not by any means suggesting that you broadcast emails – in fact if you understand Dynamic Behavioural Marketing and have segmented you should not have to broadcast ! Another form of behavioural marketing I am sure we have all come across is when we are in one of our favourite stores and we are offered their rewards card. If we sign up which is often free then we receive 10% off everything – almost too good to be true! From the stores point of view they are happy to give a 10% discount for all the personal information you provide. Their ability to identify you as a unique individual and track all your purchases over time, by department, by day by time. Data driven buyer personas that are gold from a marketing perspective. The marketing department can then segment you, so that when sending out the monthly or quarterly sales brochure, they are sure to include items that are relevant to your recent purchases. This intensifies your customer experience and will unconsciously register this store with those products previously purchased. You are 8 times more likely to purchase from somewhere you have previously bought. So there you are, you are on your bicycle listening to your music. They know you like bicycle lanes so they are provided, they know you like bicycling through the country side to get to where you want to go, so that route is provided for you on your GPS. Importantly as you enter the shop they know that you are somebody that likes to be helped with more information so there is an information board that comes up on your right hand side making it easy to find everything you desire. They know that you particularly like to know the technical details, so technical information flashes up for you to be able to understand each of the products as you walk through the store. It is only as you get nearer to your desired product that you meet and see a friendly face. Good Dynamic Behavioural Marketing is exactly like this virtual reality. You understand human behaviour and get to know your customer so well that you can offer them the ideal customer experience. Providing your customer with a personalised and customised customer experience is Dynamic Behavioural Marketing at its best. Whilst this virtual example may seem a little far fetched it is the way technology is going and marketing needs to keep up with this technology. Remembering ONE crucial factor. It is a human, a conscious person that you are interacting with at every stage. Similarly in the service industry you are looking for a solution and you read an article on your iPad describing the exact problem you have. 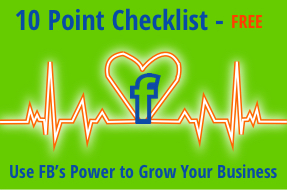 As you leave the page, thinking ‘I will come back to this great article’, a pop up appears in front of you with a checklist of 8 items to solve your problem. Great, you opt-in and get the instant solution sent to you. The next morning you open your email and there from that same company is a welcome email and 2 more great pieces of content that are connected to the same problem your have. One piece is a video on how to prevent this problem happening again – Interested you click play and watch till the end. Knowing you have watched until the end and are therefore further interested you are placed in a 10 day email campaign helping you with other related issues and ending in a link to a sales page where they offer a 4 week program. You buy because this company has given great value, built trust and you believe that the program will be worthwhile. This is automated dynamic behavioural marketing, offering a lead a customised journey that gives high value at low risk, whilst building trust and demonstrating customer care. This behavioural marketing strategy is based on the actions that your prospects and customers take, not on what they say, it is on what they do and how they act. The Dynamic part of Behavioural Marketing is human behaviour and human psychology. There is a great book by Dan Ariely called Predictably Irrational: The Hidden Forces that Shape our Decisions, which I highly recommend. 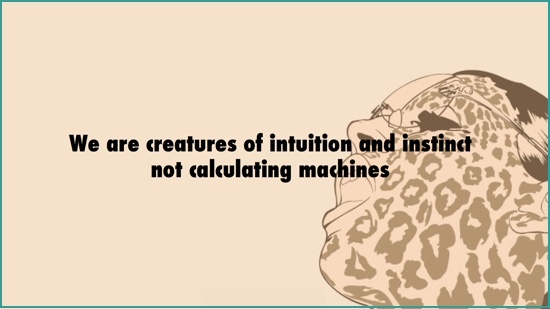 Humans are irrational, however irrational is the norm. Therefore it is understanding these behaviours, so that we can put the best opportunities in front of our prospects and customers, understanding which opportunity they are likely to take. I will be covering the dynamic side of behavioural marketing more fully in a future blog. Click here message me with “DBM' and I will be sure to send you a link. Needless to say without the insights into human behaviour planning your customer journey, planning your marketing strategy would be and still is for a lot of marketers Hit and Miss!! Here’s how to start with Dynamic Behavioural Marketing. Firstly re-orientate yourself solely towards your customer, everything you do should be customer centric. Learn about human behaviour, heuristics, biases, the different concepts like The Endowment Effect and Loss Aversion. Is this content/product actually what they are interested in? Am I showing it to them in their preferred format… text video images mp3? How does what I am doing convey trust and authority. Have I put in place the processes and systems to be able to analyse customers actions and automate the response required. 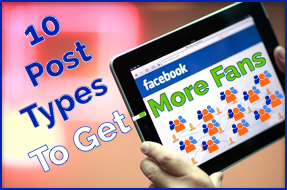 I am sure most of you have been told to Niche as the best way to target the right audience. Maybe they are wrong – maybe it is not niching that’s required at all but Segmentation. Dynamic Behavioural Marketing the new buzz word in marketing. 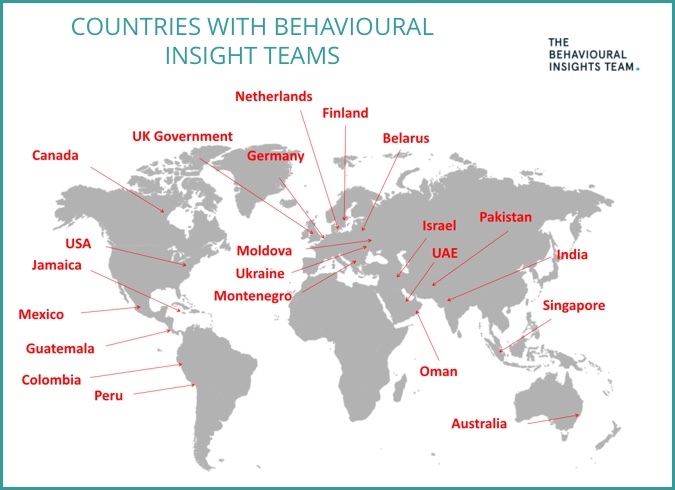 See below a world map showing all the governments now employing a Behavioural Insights Unit a Nudge Unit! 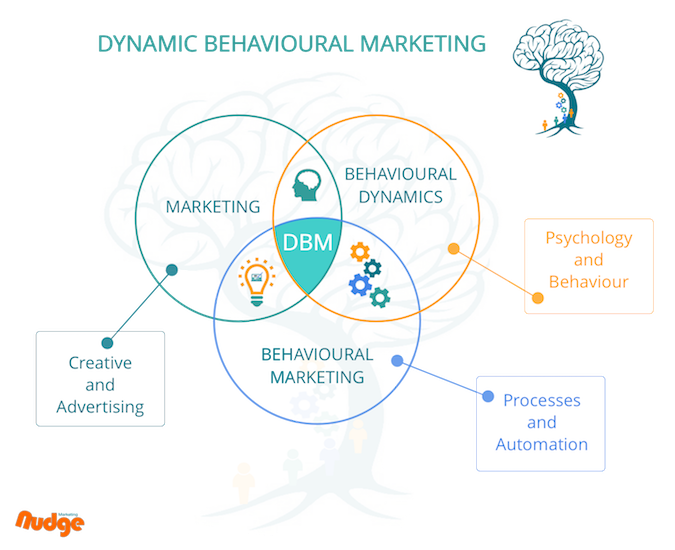 If would would like to learn more about Dynamic Behavioural Marketing message ‘DBM' here.